Old school spying. Image from Outside the Beltway. Here is a preliminary attempt to sort out some patterns behind what could be the next big story about government surveillance and provocation in America. Sociologist, mass media critic, and political writer Todd Gitlin will discuss issues raised in this article and more with Rag Blog editor Thorne Dreyer on Rag Radio, Friday, July 19, 2013, from 2-3 p.m. (CDT) on KOOP 91.7-FM in Austin, and streamed live to the world. The show is rebroadcast by WFTE-FM in Mt. Cobb and Scranton, PA, Sunday mornings at 10 a.m. (EDT), and all podcasts are posted at the Internet Archive. Just how much of this is going on and in how coordinated a way no one out here in the spied-upon world knows. The lower-tech stuff gets reported, if at all, only one singular, isolated event at a time -- look over here, look over there, now you see it, now you don’t. On September 17, 2011, Plan A for the New York activists who came to be known as Occupy Wall Street was to march to the territory outside the bank headquarters of JPMorgan Chase. Once there, they discovered that the block was entirely fenced in. Many activists came to believe that the police had learned their initial destination from e-mails circulating beforehand. Whereupon they headed for nearby Zuccotti Park and a movement was born. clean cut, athletic, commanding, gravitas not borne of charisma but of testosterone and intimidation. They were decked out in outfits typically attributed to those in the "black bloc" spectrum of tactics, yet their clothes were too new, and something was just off about them. They were very combative and nearly physically violent with the livestreamers on site, and got ignorant with me, a medic, when I intervened... I didn’t recognize any of these people. Their eyes were too angry, their mouths were too severe. They felt "military" if that makes sense. Something just wasn’t right about them on too many levels. I’m not one of those tin foil hat conspiracy theorists. I don’t subscribe to those theories that Queen Elizabeth’s Reptilian slave driver masters run the Fed. I’ve read up on agents provocateurs and plants and that sort of thing and I have to say that, without a doubt, I believe 100% that the people that started tonight’s events in the Mission were exactly that. Where does such vandalism and violence come from? We don’t know. There are actual activists who believe that they are doing good this way; and there are government infiltrators; and then there are double agents who don’t know who they work for, ultimately, but like smashing things or blowing them up. 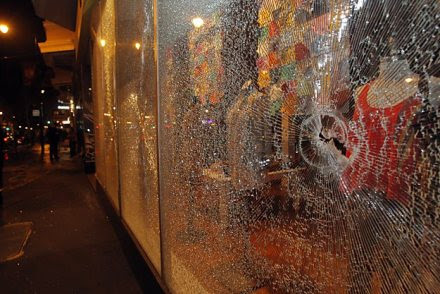 By definition, masked trashers of windows in Oakland or elsewhere are anonymous. In anonymity, they -- and the burners of flags and setters of bombs -- magnify their power. They hijack the media spotlight. In this way, tiny groups -- incendiary, sincere, fraudulent, whoever they are -- seize levers that can move the entire world. Who casts the first stone? Who smashes the first window? Who teaches bombers to build and plant actual or spurious bombs? 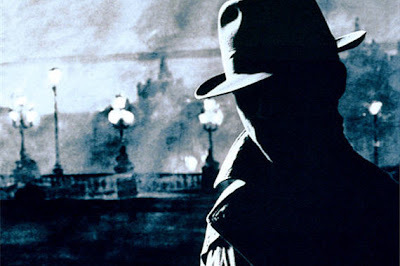 The history of the secret police planting agents provocateurs in popular movements goes back at least to nineteenth century France and twentieth century Russia. In 1905, for example, the priest who led St. Petersburg’s revolution was some sort of double agent, as was the man who organized the assassination of the Czar’s uncle, the Grand Duke. As it happens, the United States has its own surprisingly full history of such planted agents at work turning small groups or movements in directions that, for better or far more often worse, they weren’t planning on going. One well-documented case is that of "Tommy the Traveler,” a Students for a Democratic Society (SDS) organizer who after years of trying to arouse violent action convinced two 19-year-old students to firebomb an ROTC headquarters at Hobart College in upstate New York. The writer John Schultz reported on likely provocateurs in Chicago during the Democratic National Convention of 1968. How much of this sort of thing went on? Who knows? Many relevant documents molder in unopened archives, or have been heavily redacted or destroyed. As the Boston marathon bombing illustrates, there are homegrown terrorists capable of producing the weapons they need and killing Americans without the slightest help from the U.S. government. But historically, it’s surprising how relatively often the gendarme is also a ringleader. Just how often is hard to know, since information on the subject is fiendishly hard to pry loose from the secret world. In Cleveland, on May Day of 2012, in the words of a Rolling Stone exposé, the FBI “turned five stoner misfits into the world's most hapless terrorist cell.” To do this, the FBI put a deeply indebted, convicted bank robber and bad-check passer on their payroll, and hooked him up with an arms dealer, also paid by the Bureau. The FBI undercover man then hustled five wacked-out wannabe anarchists into procuring what they thought was enough C4 plastic explosive to build bombs they thought would blow up a bridge. The bombs were, of course, dummies. The five were arrested and await trial. The FBI's goal is to create a hostile environment for terrorist recruiters and operators -- by raising the risk of even the smallest step toward violent action. It's a form of deterrence… Advocates insist it has been effective, noting that there hasn't been a successful large-scale attack against the United States since 9/11. But what can't be answered -- as many former and current FBI agents acknowledge -- is how many of the bureau's targets would have taken the step over the line at all, were it not for an informant. Perhaps Aaronson is a bit too generous. The FBI may, at times, be anything but thoughtful in its provocations. It may, in fact, be flatly dopey. COINTELPRO records released since the 1960s under the Freedom of Information Act (FOIA) show that it took FBI Director J. Edgar Hoover until 1968 to discover that there was such a thing as a New Left that might be of interest. Between 1960 and 1968, as the New Left was becoming a formidable force in its own right, the Bureau’s top officials seem to have thought that groups like Students for a Democratic Society were simply covers for the Communist Party, which was like mistaking the fleas for the dog. We have been assured that the FBI of today has learned something since the days of J. Edgar Hoover. But of ignorance and stupidity there is no end. Anyone concerned about the security of Americans should cast a suspicious eye on the allocation or simply squandering of resources on wild goose chases. Consider some particulars which have recently come to light. Under the Freedom of Information Act, the Partnership for Civil Justice Fund (PCJF) has unearthed documents showing that, in 2011 and 2012, the Department of Homeland Security (DHS) and other federal agencies were busy surveilling and worrying about a good number of Occupy groups -- during the very time that they were missing actual warnings about actual terrorist actions. It was in this period that the FBI received the second of two Russian police warnings about the extremist Islamist activities of Tamerlan Tsarnaev, the future Boston Marathon bomber. That city’s police commissioner later testified that the federal authorities did not pass any information at all about the Tsarnaev brothers on to him, though there’s no point in letting the Boston police off the hook either. The ACLU has uncovered documents showing that, during the same period, they were paying close attention to the internal workings of… Code Pink and Veterans for Peace. So we know that Boston’s master coordinators -- its Committee on Public Safety, you might say -- were worried about constitutionally protected activity, including its consequences for “commercial and financial sector assets.” Unsurprisingly, the feds worked closely with Wall Street even before the settling of Zuccotti Park. More surprisingly, in Alaska, Alabama, Florida, Mississippi, Tennessee, and Wisconsin, intelligence was not only pooled among public law enforcement agencies, but shared with private corporations -- and vice versa. FBI gave 'heads up' on OWS. The FBI in Anchorage, Jacksonville, Tampa, Richmond, Memphis, Milwaukee, and Birmingham also gathered information and briefed local officials on wholly peaceful Occupy activities. Sometimes, “intelligence” moves in the opposite direction -- from private corporations to public agencies. Among the collectors of such “intelligence” are entities that, like the various intelligence and law enforcement outfits, do not make distinctions between terrorists and nonviolent protesters. Consider TransCanada, the corporation that plans to build the 1,179 mile Keystone-XL tar sands pipeline across the U. S. and in the process realize its “vision to become the leading energy infrastructure company in North America.“ The anti-pipeline group Bold Nebraska filed a successful Freedom of Information Act request with the Nebraska State Patrol and so was able to put TransCanada’s briefing slideshow up online. Much is not known about these centers, including just who runs them, by what rules, and which public and private entities are among the fused. There is nothing public about most of them. However, some things are known about a few. Several fusion center reports that have gone public illustrate a remarkably slapdash approach to what constitutes “terrorist danger” and just what kinds of data are considered relevant for law enforcement. In a similarly jaw-dropping manner, the manual claimed -- the italics are mine -- that “Katuah Earth First (KEF), based in Asheville, North Carolina, sends activists throughout the region to train and engage in criminal activity. KEF has trained local environmentalists in non-violent tactics, including blocking roads and leading demonstrations, at action camps in Virginia. While KEF has been primarily involved in protests and university outreach, members have also engaged in vandalism.” Vandalism! Send out an APB! In Missouri, “a mobile security team observed an individual photographing an unspecified oil refinery... The person abruptly left the scene before he could be questioned." Somewhere in Virginia, “seven passengers aboard a white pontoon boat dressed in traditional Middle Eastern garments immediately sped away after being sighted in the recreational area, which is in close proximity to” a power plant. It is likely that potential incidents of interest are occurring, but that such incidents are either not recognized by initial responders or simply not reported. The lack of detailed information for Virginia instances of monitored trends should not be construed to represent a lack of occurrence. 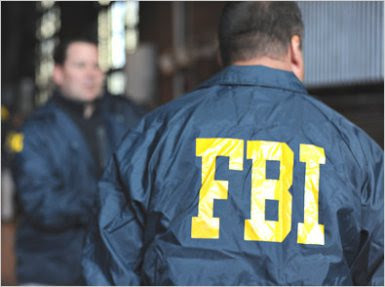 Subsequently, the FBI continued to maintain investigative files on groups like Greenpeace, the Catholic Worker, and the Thomas Merton Center in Pittsburgh, cases where (in the politely put words of the Inspector General’s report) “there was little indication of any possible federal crimes… In some cases, the FBI classified some investigations relating to nonviolent civil disobedience under its 'acts of terrorism' classification." One of these investigations concerned Greenpeace protests planned for ExxonMobil shareholder meetings. (Note: I was on Greenpeace’s board of directors during three of those years.) The inquiry was kept open "for over three years, long past the shareholder meetings that the subjects were supposedly planning to disrupt." The FBI put the names of Greenpeace members on its federal watch list. Around the same time, an ExxonMobil-funded lobby got the IRS to audit Greenpeace. The agent was unable to identify any terrorism subjects at the event, but he photographed a woman in order to have something to show his supervisor. He told us he had spoken to a woman leafletter at the rally who appeared to be of Middle Eastern descent, and that she was probably the person he photographed. Do we hear an echo from the abyss of the counterintelligence programs of the 1960s and 1970s, when FBI memos -- I have some in my own heavily redacted files obtained through an FOIA request -- were routinely copied to military intelligence units? Then, too, military intelligence operatives spied on activists who violated no laws, were not suspected of violating laws, and had they violated laws, would not have been under military jurisdiction in any case. 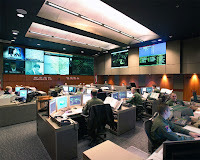 Nationally, the ACLU rightly worries about who is in charge of fusion centers and by what rules they operate, about what becomes of privacy when private corporations are inserted into the intelligence process, about what the military is doing meddling in civilian law enforcement, about data-mining operations that Federal guidelines encourage, and about the secrecy walls behind which the fusion centers operate. Did Cleveland’s fusion center have such guidelines? Did they follow them? 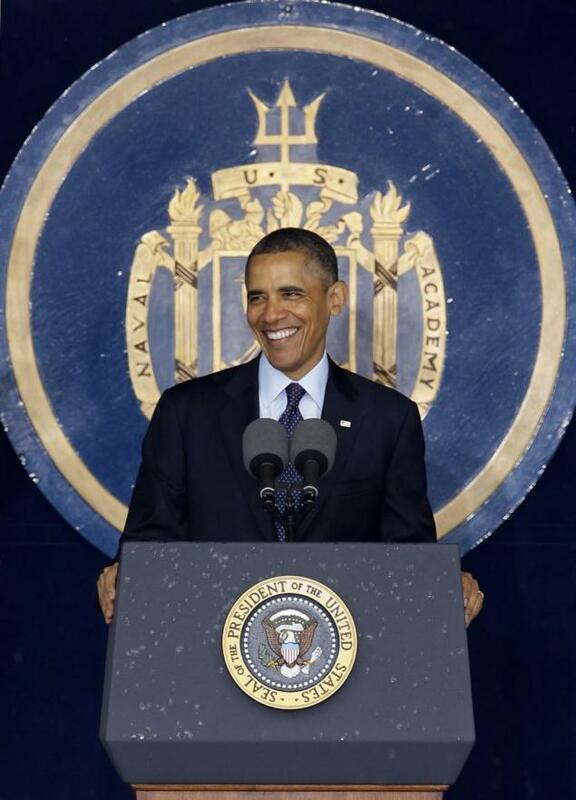 Do other state fusion centers? We don’t know. Terrorist plots arise, in the United States as elsewhere, with the intent of committing murder and mayhem. Since 2001, in the U.S., these have been almost exclusively the work of freelance Islamist ideologues like the Tsarnaev brothers of Boston. None have been connected in any meaningful way with any legitimate organization or movement. Government surveillance may in some cases have been helpful in scotching such plots, but there is no evidence that it has been essential. Even based on the limited information available to us, since September 11, 2001, the net of surveillance has been thrown wide indeed. Tabs have been kept on members of quite a range of suspect populations, including American Muslims, anarchists, and environmentalists, among others -- in situation after situation where there was no probable cause to suspect preparations for a crime. At least on occasion -- we have no way of knowing how often -- agents provocateurs on government payrolls have spurred violence. This article was cross-posted to and originally published at TomDispatch. Copyright 2013 Todd Gitlin.